This is a recipe that I’ve never tried before and always thought it was really tricky to pull off. 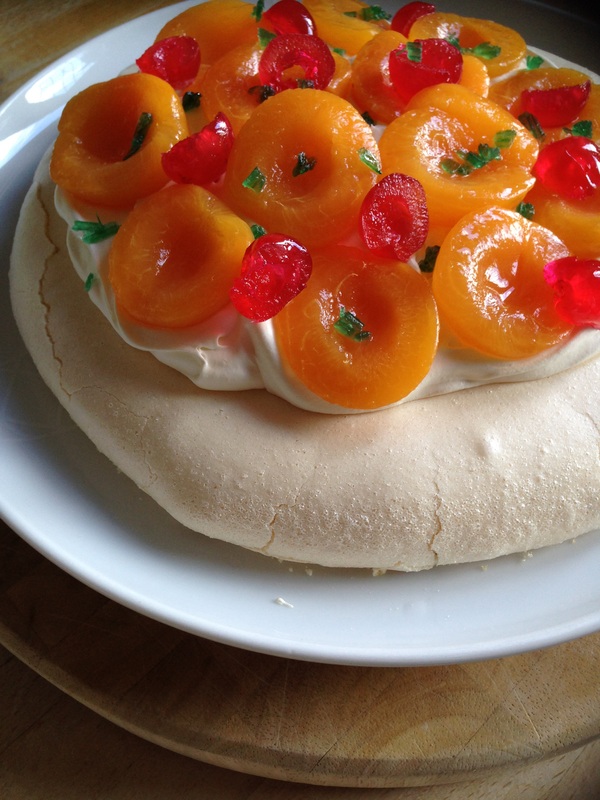 I’ve also never eaten it before but I like cake, fruit, ice cream and meringue so fully expect to enjoy this if it turns out ok! First I just made a basic Victoria sponge cake and didn’t bother to trim the cake as ice cream is getting piled on top anyway.. 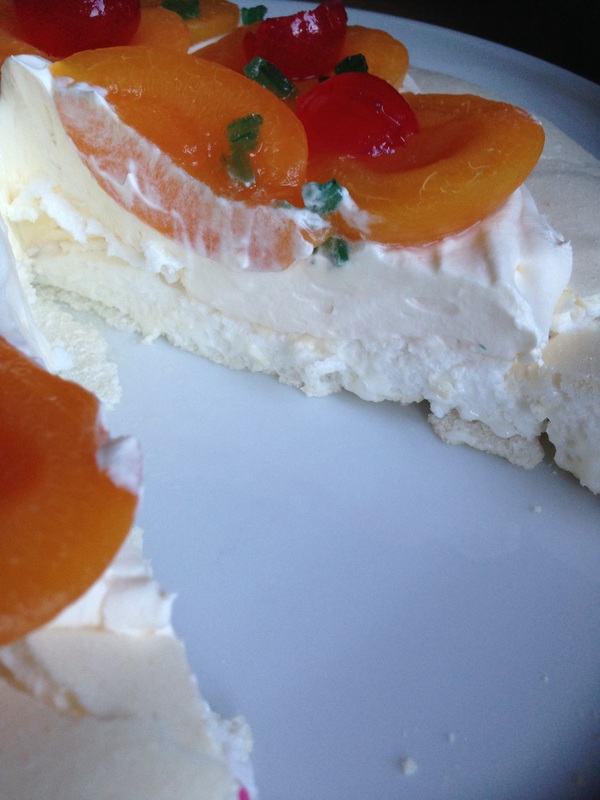 The recipe initially says a tin of fruit but can use fresh if preferred. I opted to use some fresh raspberries so crushed them into a sieve to release some juice. That juice was then poured over the cake.. So I assumed that the next part all needs to be done quite quickly, as soon as the ice cream is in the cake then the meringue needs to be ready to go straight on top, but I did read somewhere that you could assemble the whole thing and put in the freezer in stages, my freezer isn’t big enough so opted to work quickly! 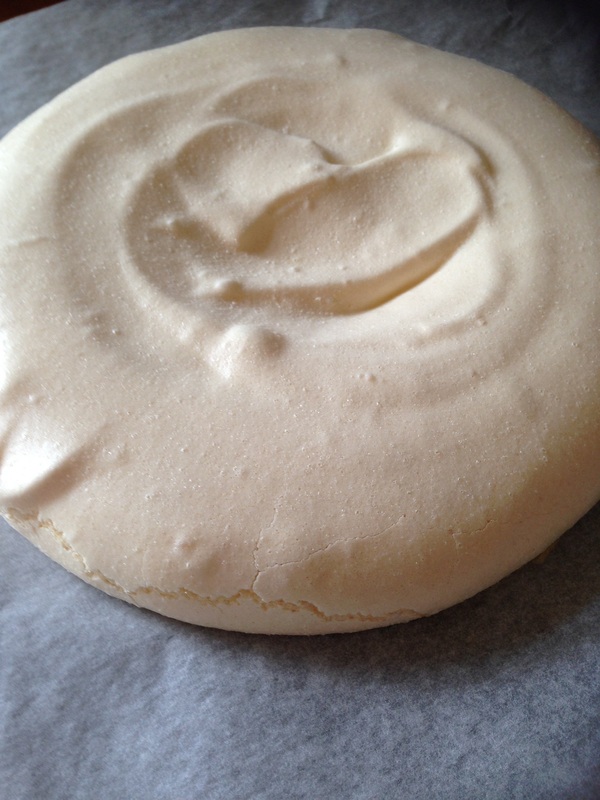 I whisked up the eggs first and have to say I have varying success with meringues! It all seemed to be ok and was nice and stiff and glossy looking..
Next I spooned some ice cream into the cake, I was just using vanilla and didn’t want to put too much on..
Then the crushed raspberries went on top of that..
Next I used a spatula to spread the meringue all over the cake, I felt that my meringue had lost a bit of its shine while it had been left to sit, it had only been a matter of minutes but maybe I should’ve given it another brief whisk.. 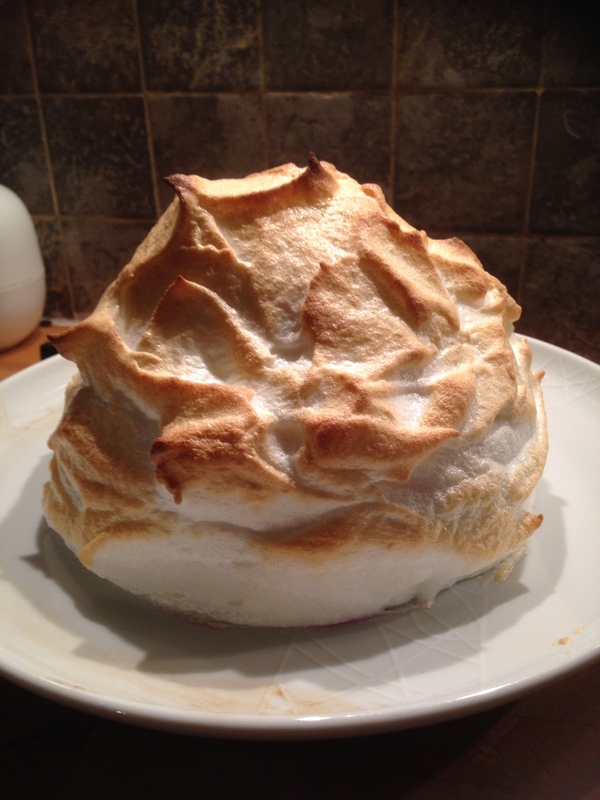 This then went into the oven at the highest setting and recipe says only 2-3 minutes which I thought was never enough time to brown the meringue, but after only 1 minute it had started to brown at the very edges and after 3 minutes it was looking nicely browned all over.. I sliced it up quickly before all the ice cream melted and on quick inspection I don’t think I put enough ice cream in it as I could hardly see any! Well I loved this! 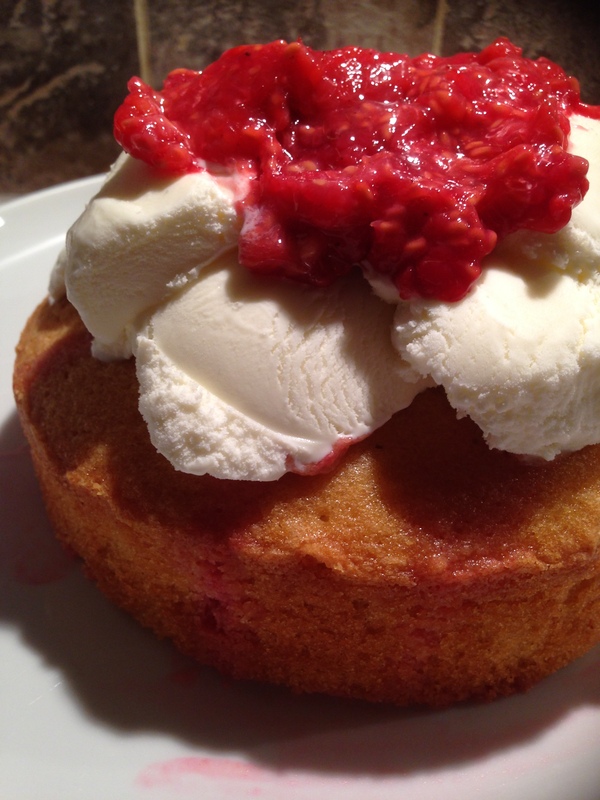 The sponge is really good as it’s warm and the ice cream is melting into it, then the sharp raspberries are a good contrast with all the sweetness. 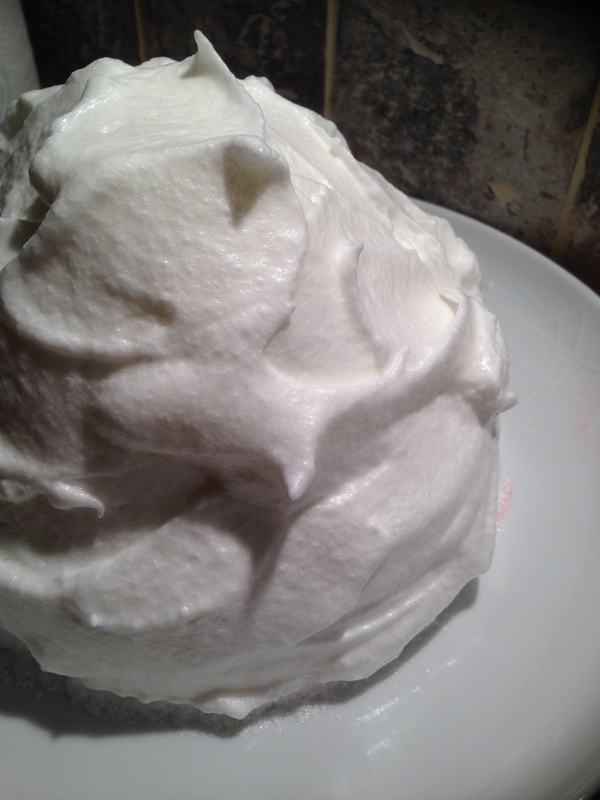 The meringue is nice and light with a very slight crunch in places. Overall it was delicious! I had to have seconds! 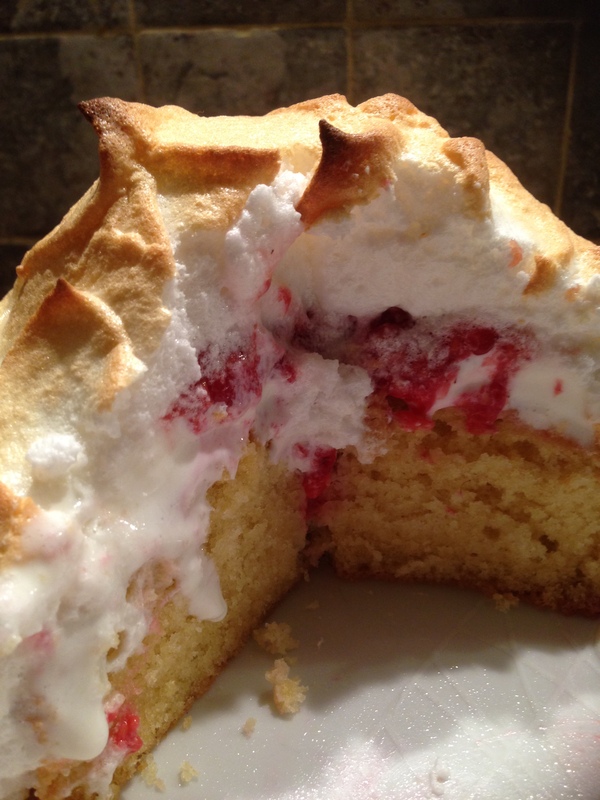 I think it is one of those dishes that does need eaten that day, although as it cooled down later in the evening all the ice cream melted into the cake and we were left with a very moist sponge with raspberries and meringue which wasn’t a bad thing! Would I make this again? Definitely and I’d be a bit braver next time and pile in some more ice cream..
I’m always a little fearful of recipes that involve uncooked eggs! 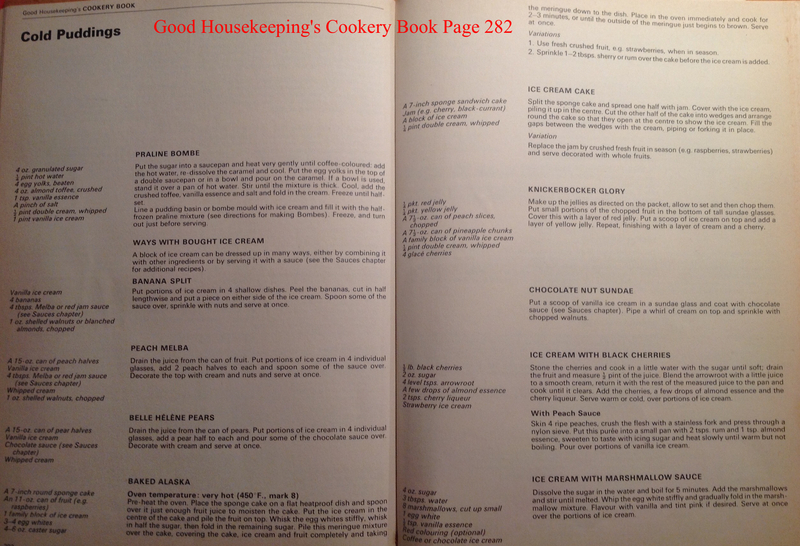 So I know that raw eggs feature in a chocolate mousse and I’ve eaten a good few of them over the years!! 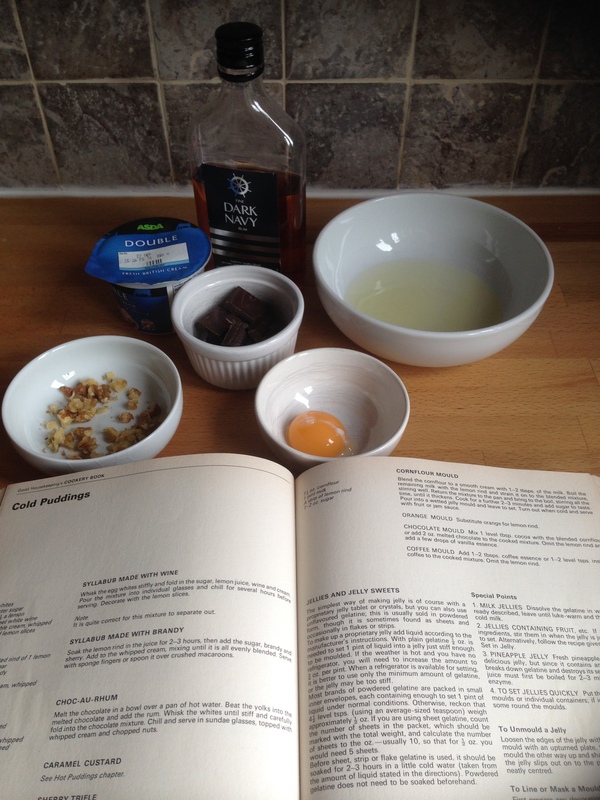 I have a very very cheap rum in the cupboard that I use only for cooking, and I decided to third this recipe to just make a couple of portions..
Once the chocolate had been melted I added the egg yolk and the mixture did look a little grainy.. I think I perhaps overheated the chocolate, but think I was being paranoid about the raw egg!! 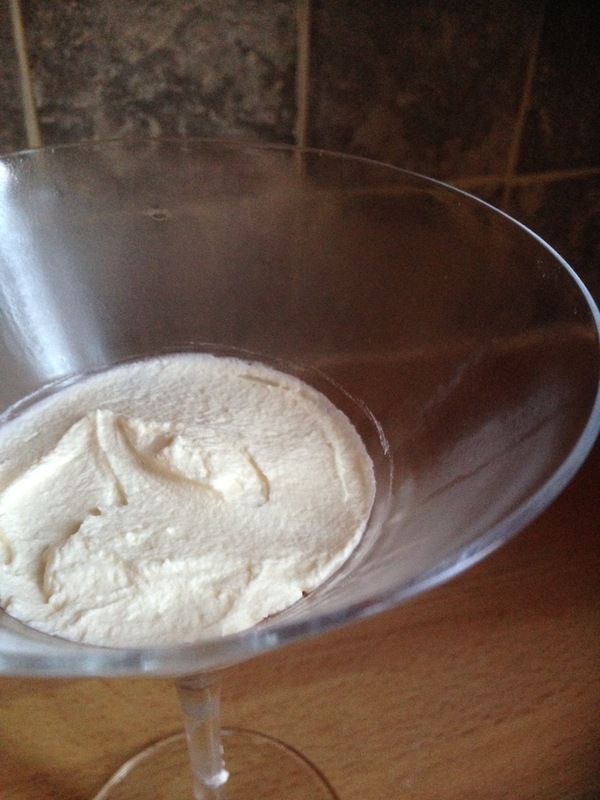 Once the rum was added it did start to look smoother. 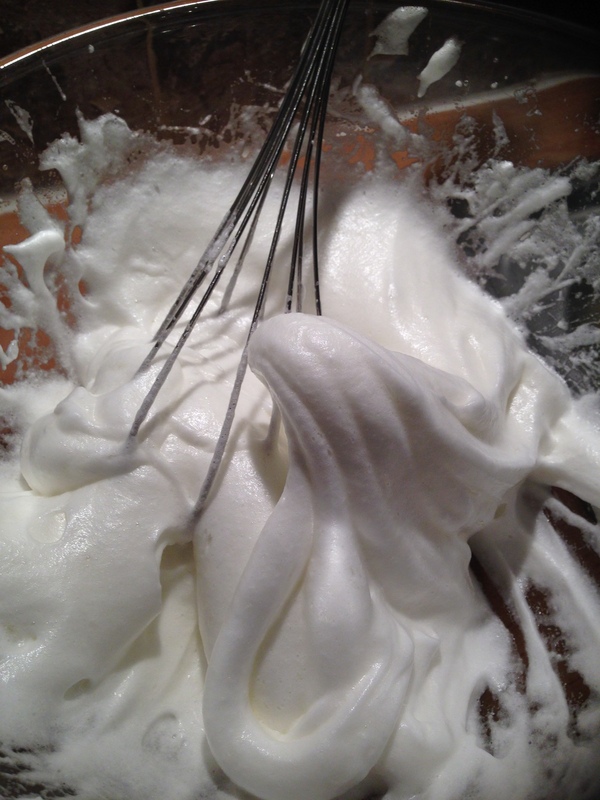 Next I whisked up the egg white.. It took me ages to fold the egg white into the chocolate mix! 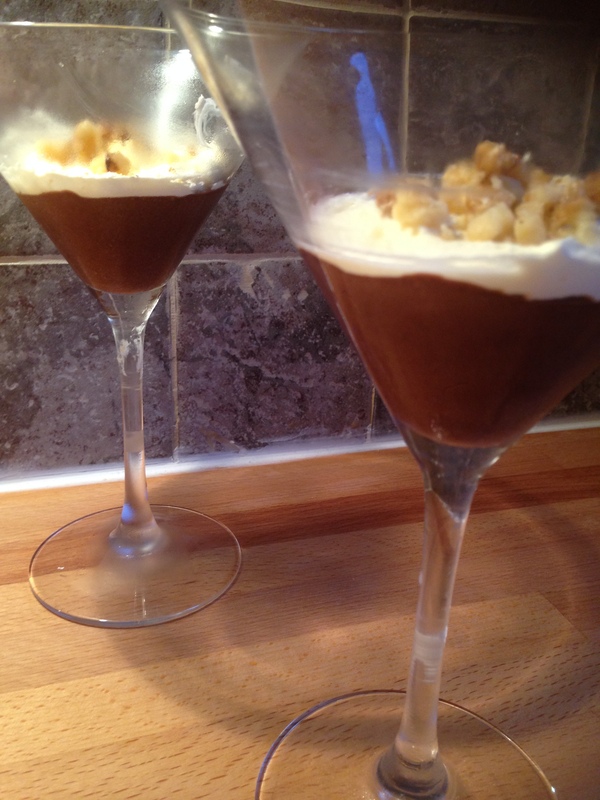 The chocolate mixture was really quite thick and I didn’t want to over beat it so took a good 10 minutes to mix together and then spooned into cocktail glasses.. I left that to set for a while in the fridge and then spread on the cream.. So this was our pudding! I think my daughter was miffed that I hadn’t made one for her, but she’s too young for rum!! So I put the thought of raw eggs out of my mind and really really enjoyed this! 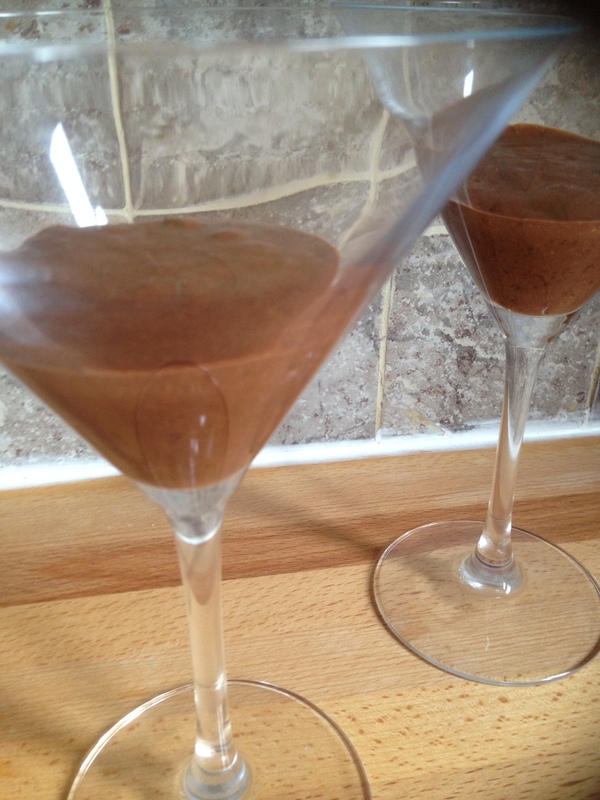 The chocolate mousse style bit is wonderfully rich and has set to a really nice consistency. 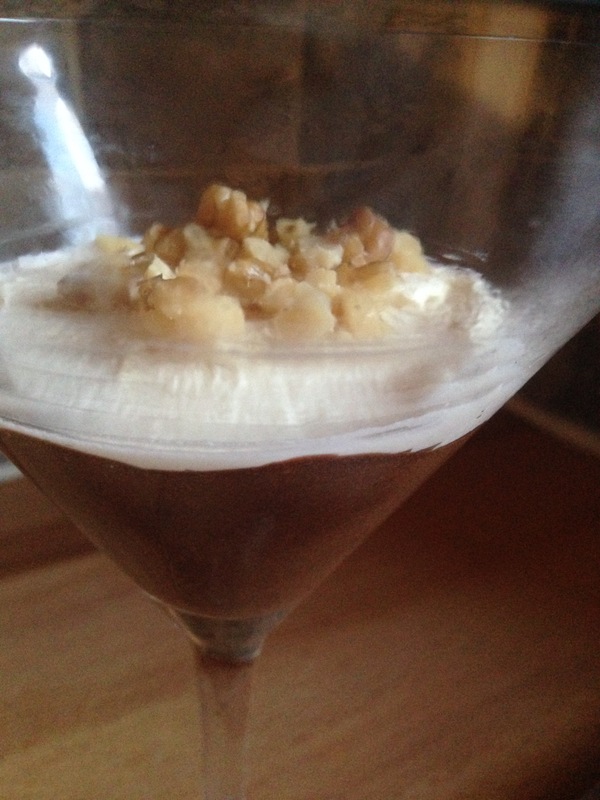 Then the cream and nuts in top and a lovely extra creaminess and a bit of texture. Overall this was a fab pud! First I started making the cake part, and it’s almost like a pastry mix, it’s a lot more flour and less fat and eggs. I assume it’s going to have denser more biscuit like texture. After mixing my dough was quite soft.. I had barely added any milk so was thinking maybe I shouldn’t have added any! After a bit of kneading it was feeling nice and smooth and I rolled out.. I don’t have a deep 8 inch cake tin, my 8 inch tins are really shallow so was worried about the mix rising up over the sides, so I used a 7 inch one.. I think I actually had this cooking a bit longer, closer to 30 minutes. After then it hadn’t risen as much as I’d expected and I could’ve used the 8 inch tin!! While that was cooling I started on the strawberries. I didn’t have quite the full amount, I had just over half a pound, so I kept back slightly less for decoration. 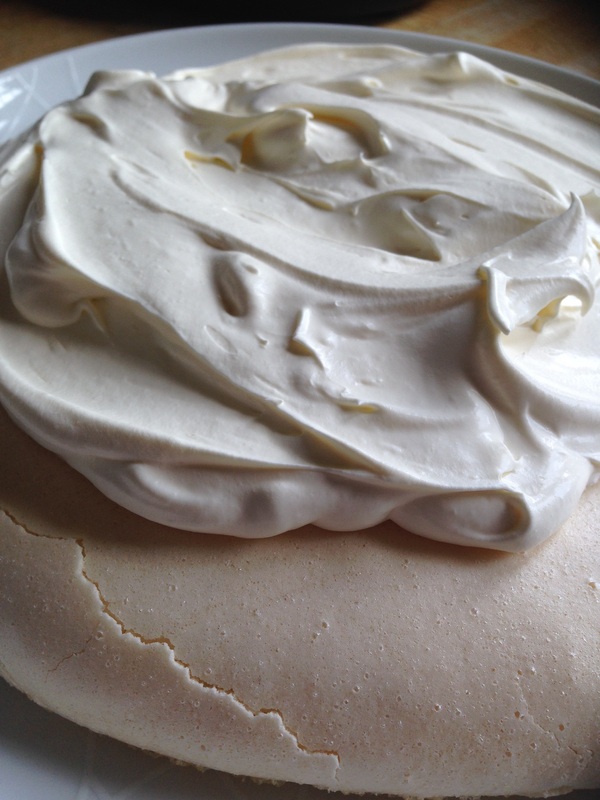 Once the cake had cooled I sliced in half..
Then I put the lid back on and topped with the remaining cream.. Finally I decorated with the last of the strawberries.. I think this is a perfect cake for having in the garden with a glass of prosecco, shame it’s raining now! Well it is a pretty good wee cake! 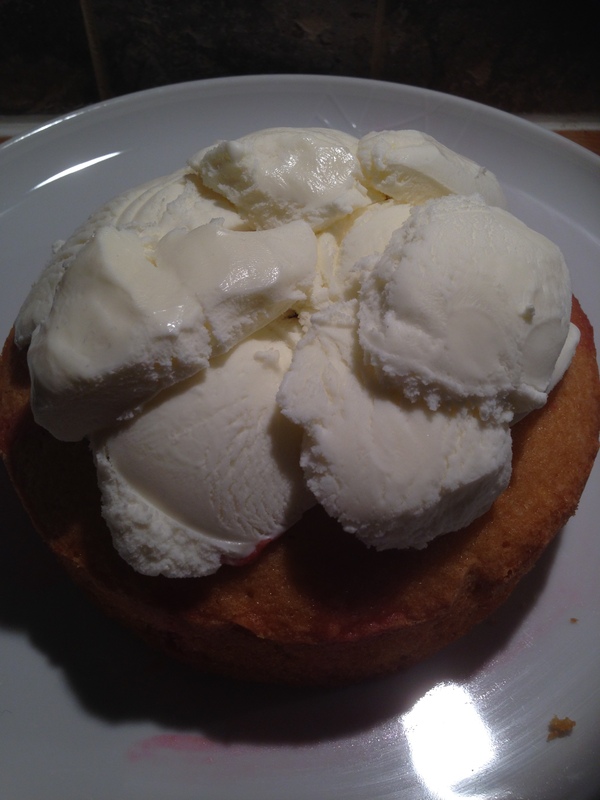 The shortcake bit is lighter than I expected, it does have a biscuit like texture and is a bit crumbly but tastes good! The cream and strawberries together was always going to be good!! 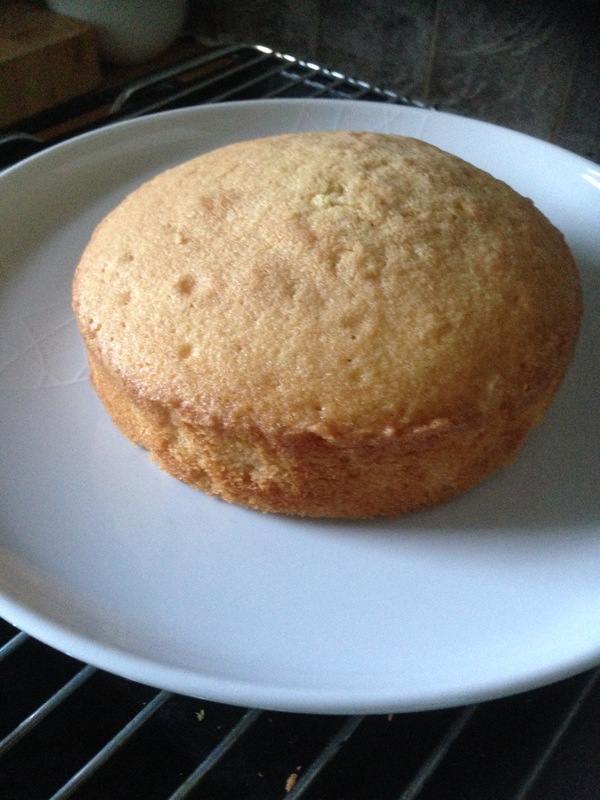 Overall it’s a great wee cake and we all loved it..
After a bit of a break I am back on the baking and cooking! 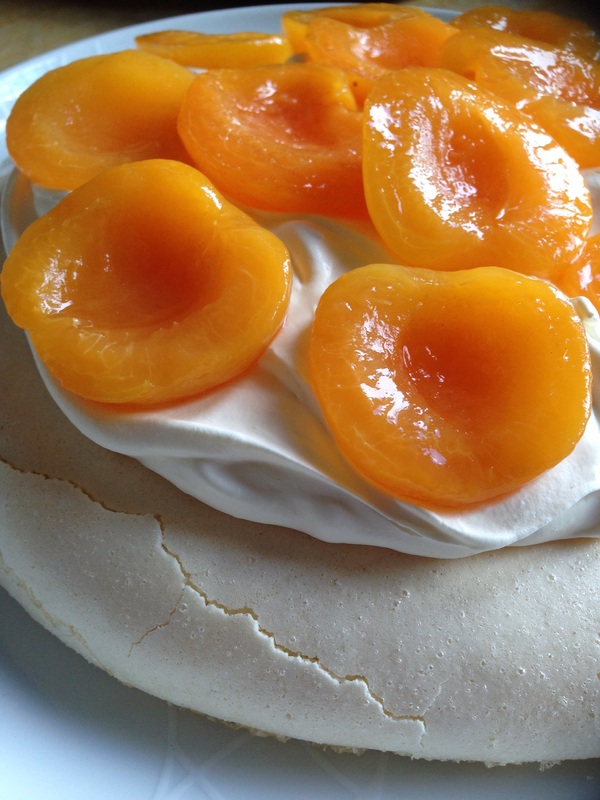 I have never tried to make a pavlova before and I have not had much success when it comes to meringue based recipes but I remained hopeful that this would be a success…. 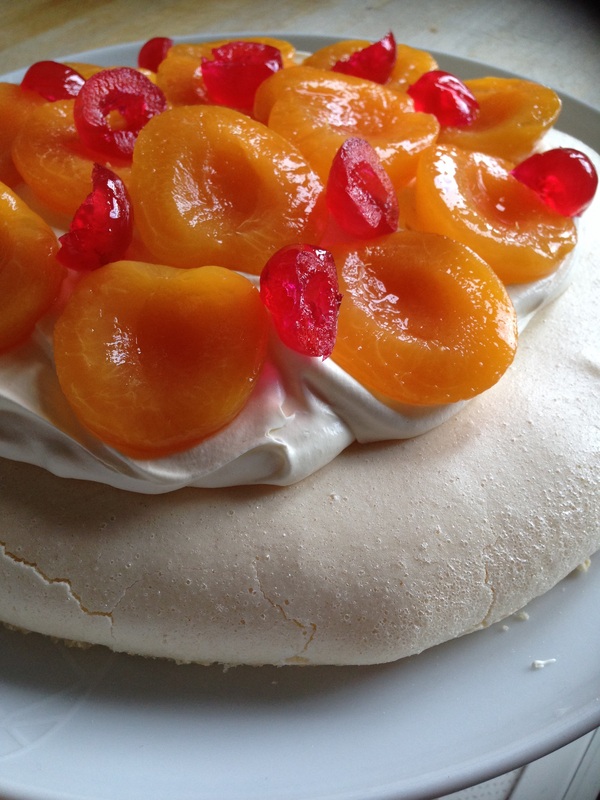 I thought Pavlova originated from Russia but this recipe says its Australian in origin! I then had to do a quick check and it’s named after a Russian ballet dancer after her tour in Australia! I’m not sure why it’s called a pavlova cake and not just pavlova, maybe that’s just something to do with the age of this book! I am hoping my attempt will be crispy on outside with a marshmallow texture underneath just like the description! 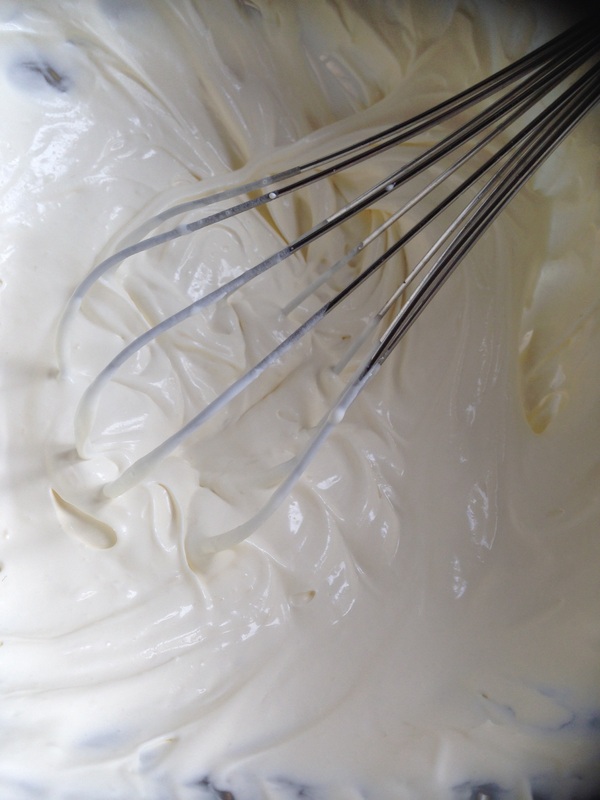 First off I whisked the three egg whites, I was using egg whites that I’d had in the freezer..
Then I added the sugar slowly and then the vinegar, cornflour and vanilla, and at this point it was looking lovely and glossy.. The mixture does look right but I felt that the more I whisked it the thinner it got! 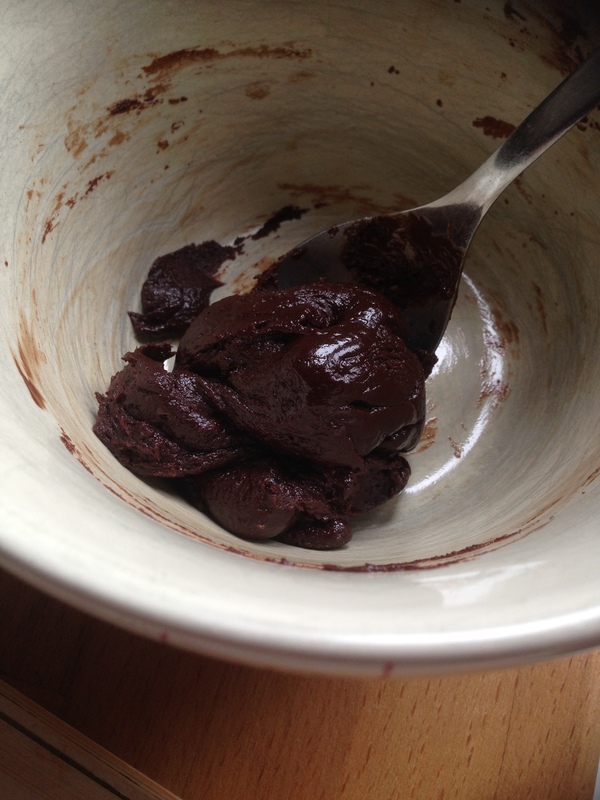 It just wasn’t a lovely thick consistency that I was going to be able to pile up! I ended up have to put out and only managed a very slight dip in the middle.. 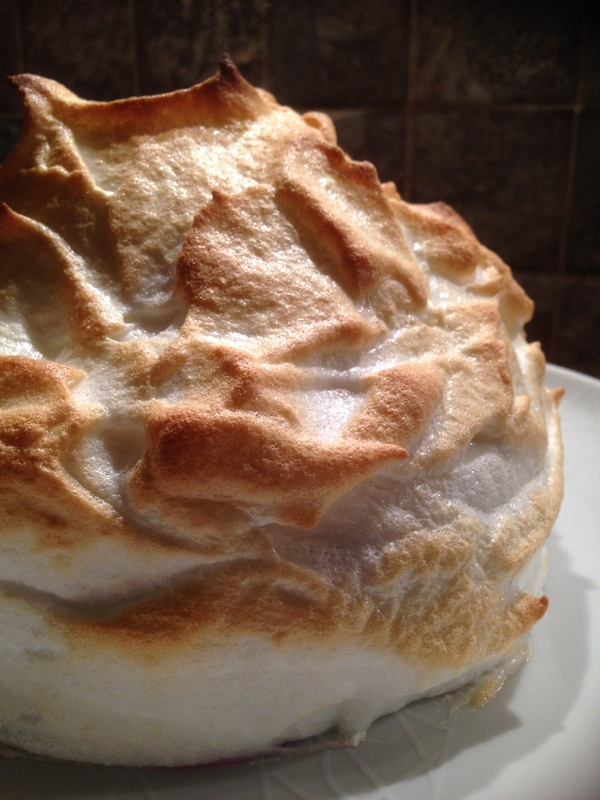 So not sure what has gone wrong here, I do find meringue recipes quite confusing! 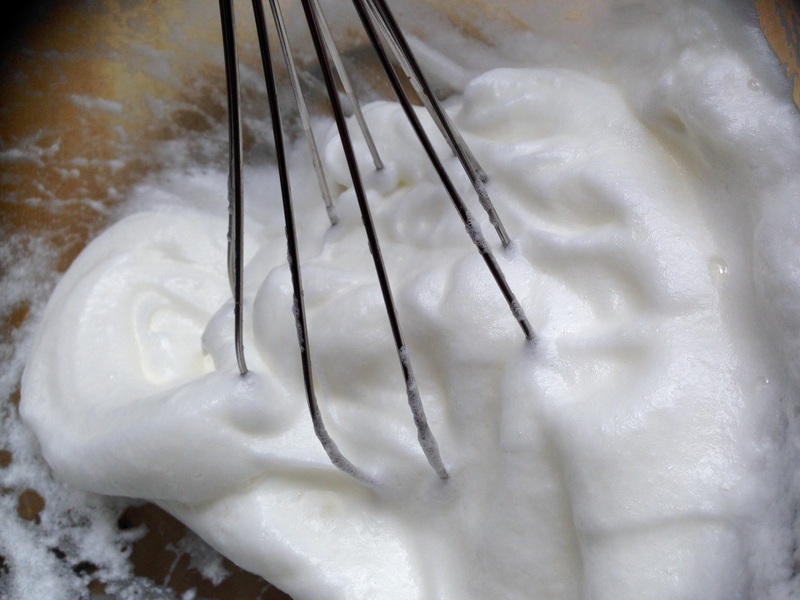 Should it be icing sugar or caster sugar and does it matter which type of vinegar?? Then corn flour isn’t always used. Anyway I had to just carry on and left this in the oven for an hour..
It’s feels nice and crisp on top and the paper peeled away easily, I am really hoping that the inside is going to be nice and chewy! 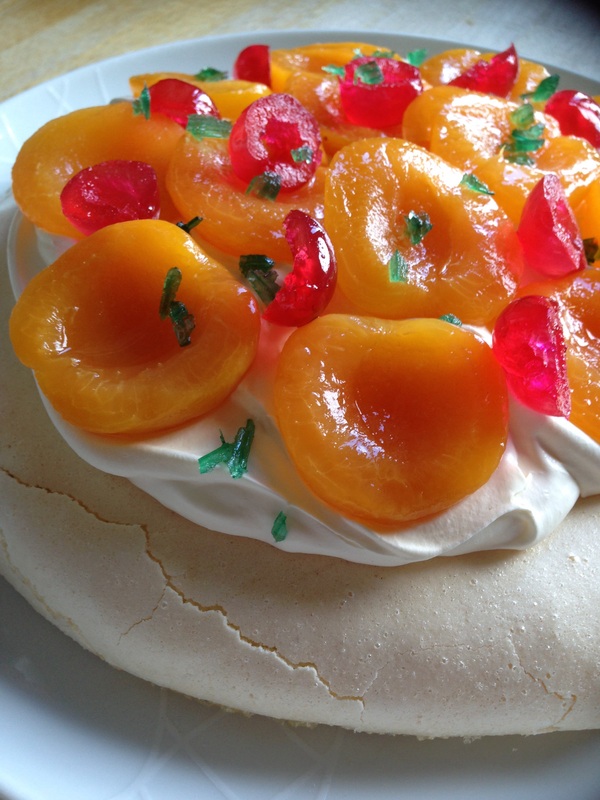 Next I whipped the cream..
That was then piled on the meringue..
Part of me wanted to use fresh fruit for this but I had a can of apricots in the cupboard so stuck with the recipe and decorated with them instead..
Then I decorated with glace cherries.. Finally I had managed to get some candied Angelica so I sprinkled some of that over the top.. So was really hoping for a nice marshmallow like inside and wasn’t disappointed.. So how does it actually taste? 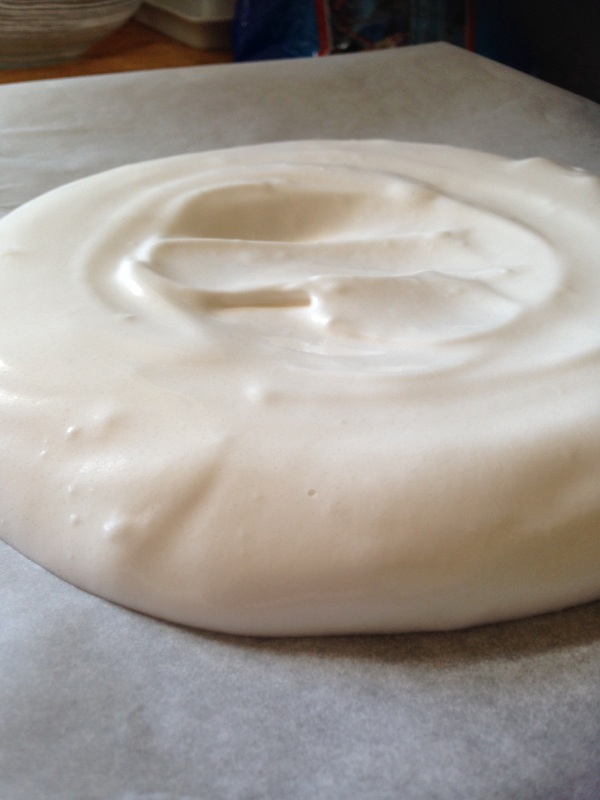 The meringue is surprisingly nice! 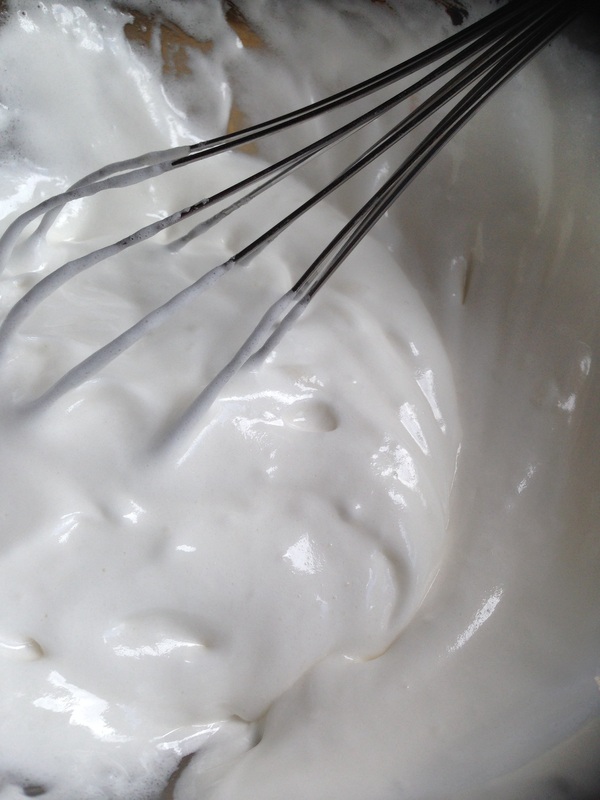 It’s crunchy on the outside and then really soft like marshmallow and lovely and light. The cream is good and then fruit is nice on top. Overall I’m quite pleased with this effort! Would I make this again? Yes I would.. 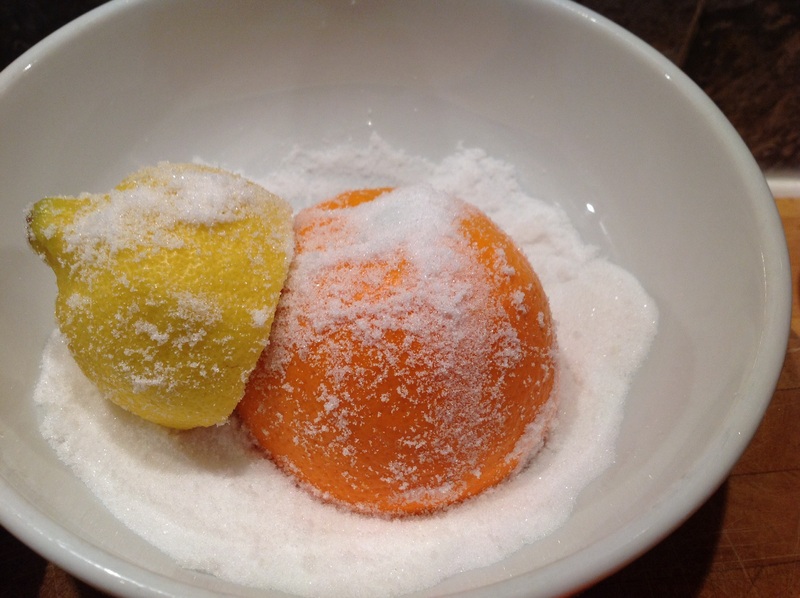 I was halving this recipe so had to rub the sugar into half a lemon and half an orange. Wasn’t too sure how long the sugar was to be left on the fruit so I just rubbed for a bit and left sitting for a while. 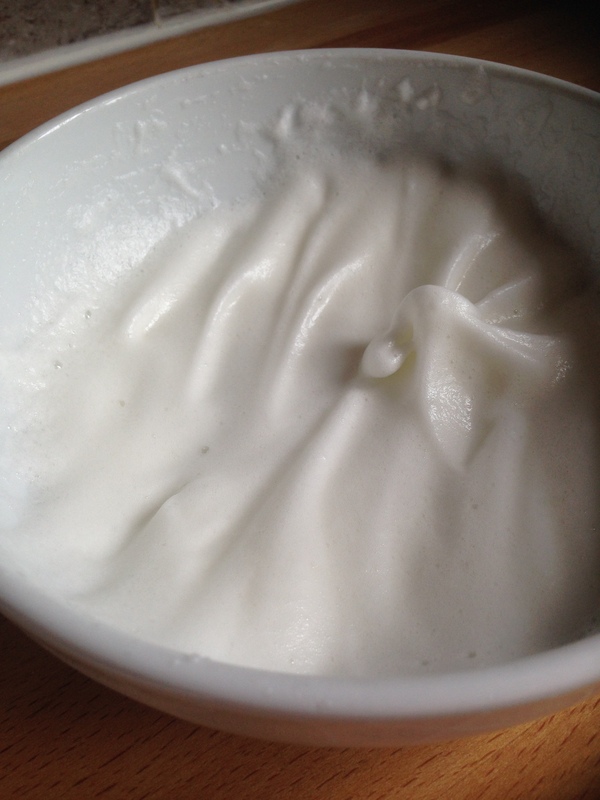 Then I mixed the water with the gelatine. 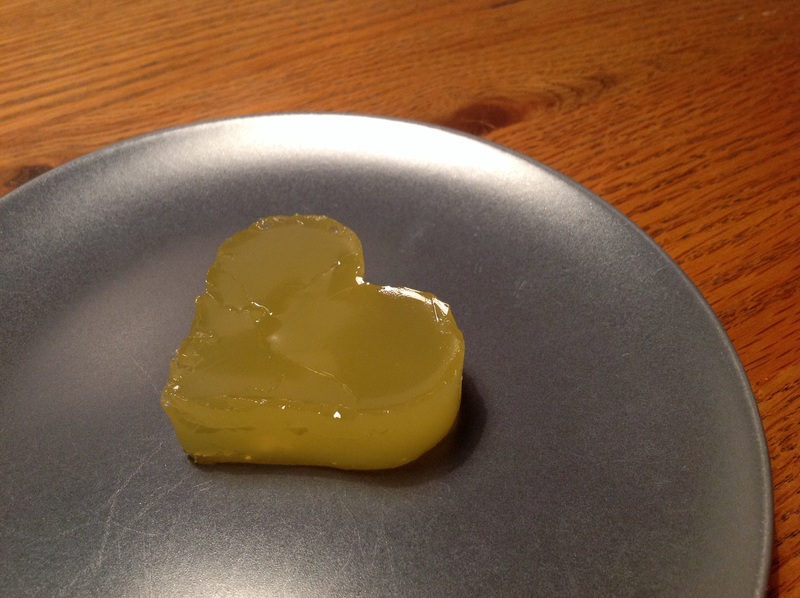 I did as the recipe says to pour the water over the gelatine, but then I read the gelatine packet and it says to never pour the liquid onto the gelatine, it should always be sprinkled over the liquid! It also says not to let the liquid boil and while I was worrying about my gelatine/water mixing the blooming liquid had started to boil! Wasn’t looking good for my jelly.. Anyway I added the fruit juice and heated until almost boiling, then I didn’t have any muslin so I just poured through a tea towel! 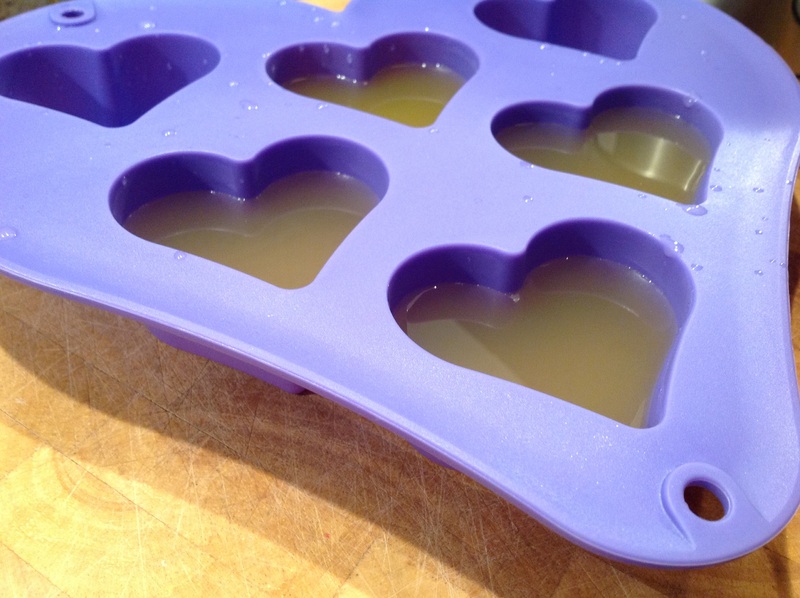 My choice of wetted mould was some little love hearts.. 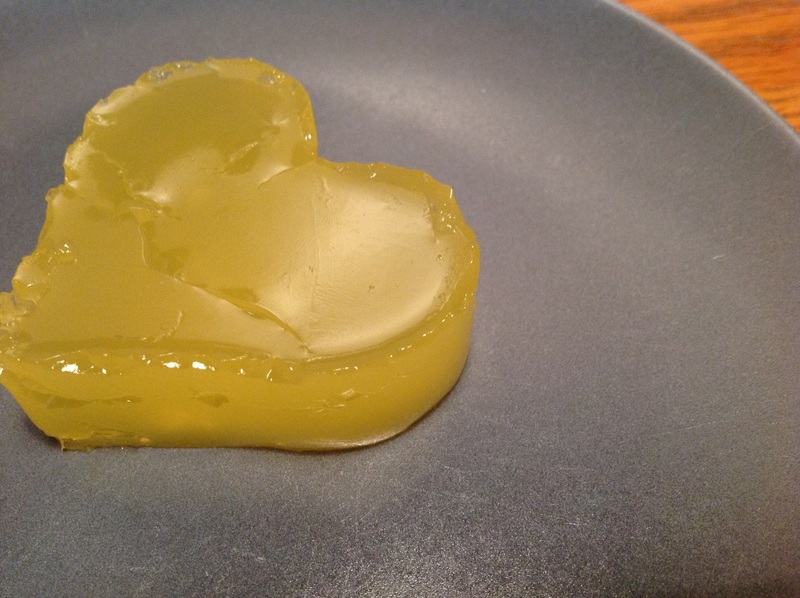 So I had planned for my daughter to be the taste tester for this but it took flipping ages to set, it was taking so long that I was thinking it wasn’t going work because I had mistreated the gelatine. After about 4 hours though it was nicely set! The jelly removal process did not go well.. I had made four hearts but I only managed to remove one as an entire heart, the rest kind of fell apart as I tried to get them out. My mould is silicon so I’d thought they would come out easily. 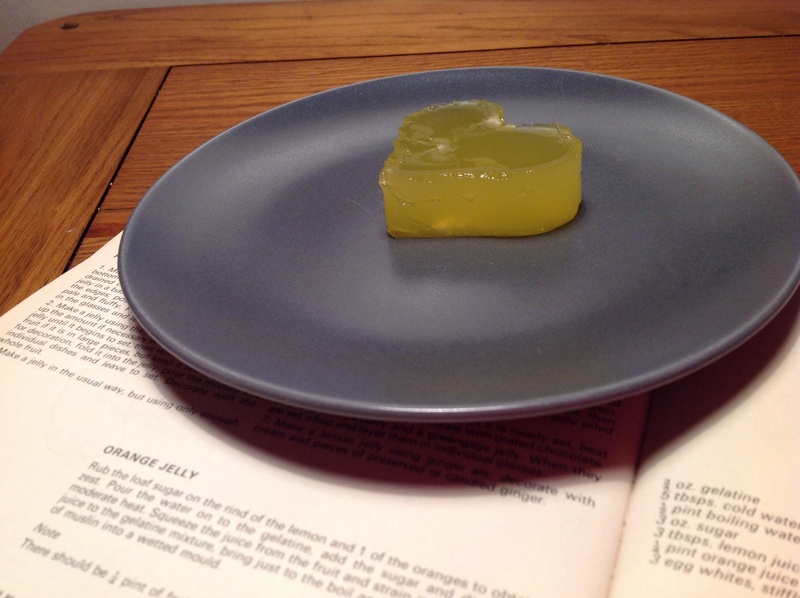 So obviously I just had to eat the broken bits off the plate as they are, and have to say it’s not a bad jelly! The consistency is pretty good and it’s not massively sweet. It’s also not packed with fruity flavour, more of a subtle hint of orange! Overall though I quite liked this and although it hasn’t turned out quite like I hoped it’s not a complete failure! 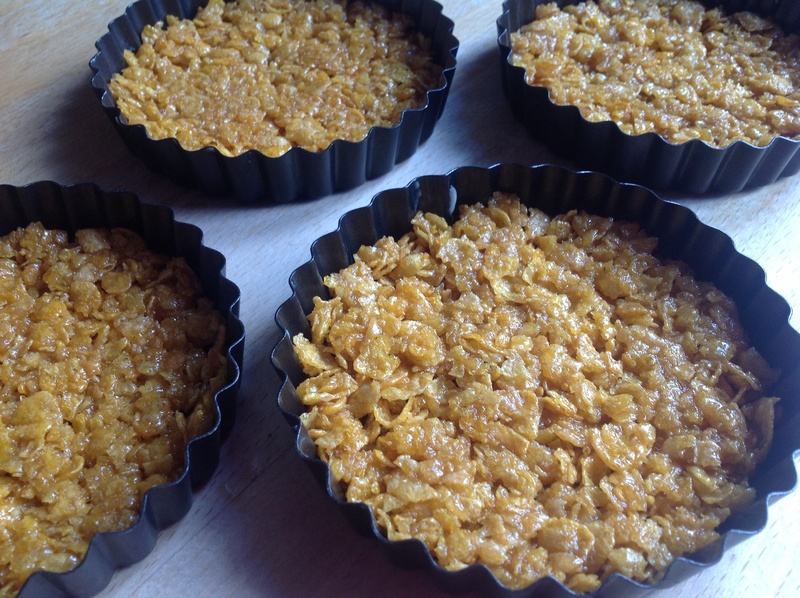 I remember the spongy flan cases my mum would sometimes buy and fill with fruit and jelly, but there is no actual recipe for that, so I though I’d try the cornflake flan today..
There’s also a few filling suggestions and I thought I’d try the fresh fruit option. First I started with the flan cases and it’s much like making a biscuit cheesecake base. I wasn’t sure how much to crush the cornflakes as it only says roughly. I opted to make four individual ones and the cornflake mix just about stretched to cover all four, but I was slightly worried there’s gaps due to me not crushing the cornflakes enough.. 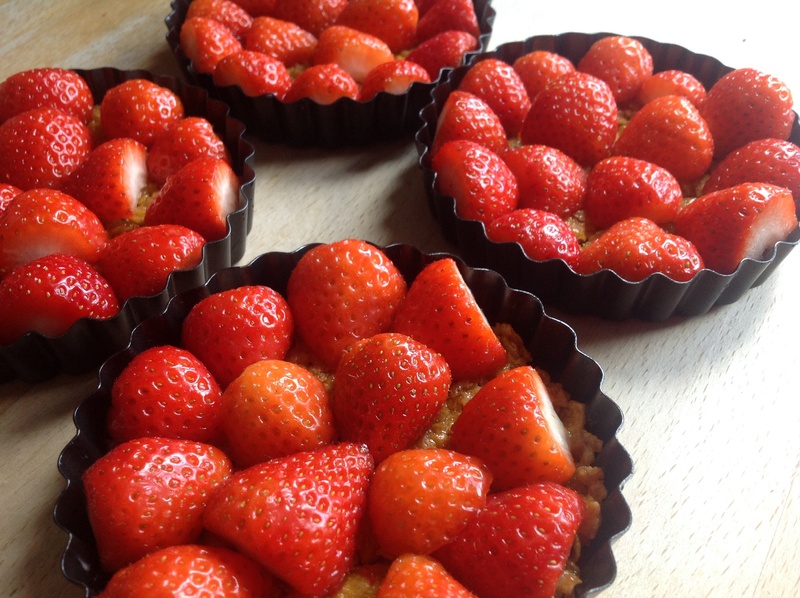 I left them to cool and them opted to top with strawberries. I really need to think about my food presentation, I just sort of plonked them on in a kind of design but I really could’ve taken more time to make them prettier! 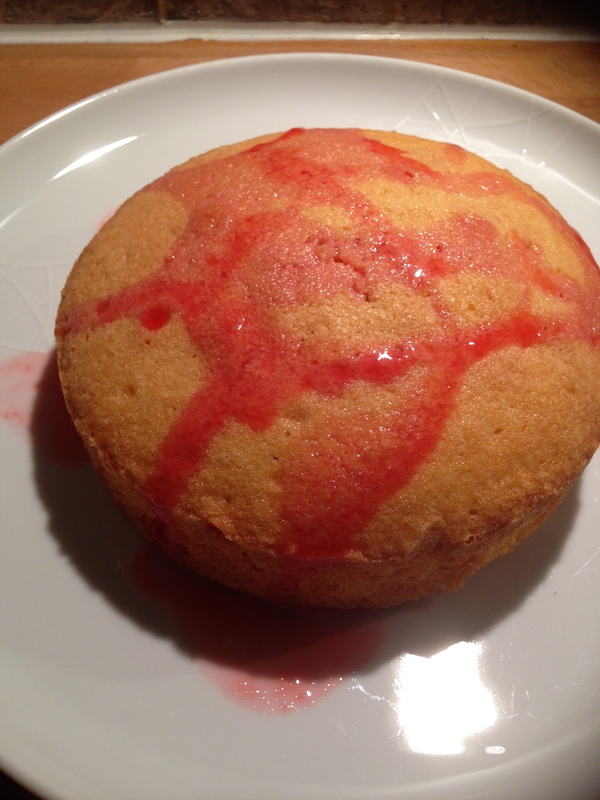 I didn’t have red currant jelly but did have strawberry jelly cubes so I opted for that. 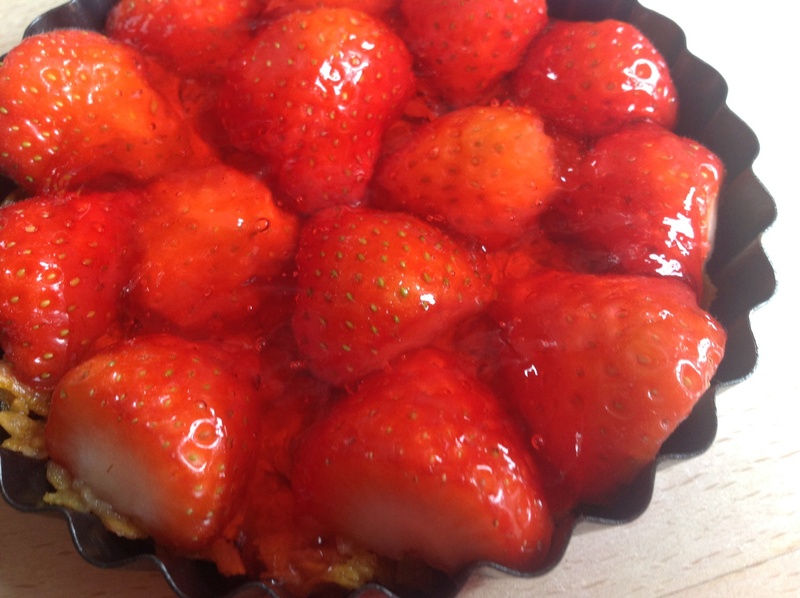 I then made a stupid mistake, I thought I could pour it on only just set and would sit nicely on top of the strawberries but it totally sunk through! Thankfully I only did one and then put the jelly in the fridge for a bit longer. I guess the other reason it sunk through is due to the slight gaps in the case, another reason to maybe crush more! 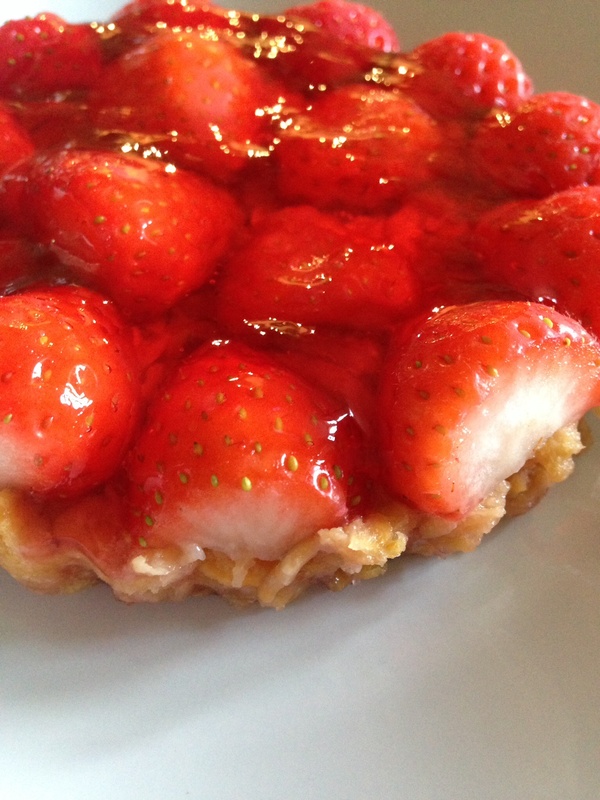 When the jelly was slight more set I kind of splodged it on and tried to spread over the strawberries.. I then put back in the fridge and just hoped that the base wouldn’t be too soggy. Well I’m glad I used my spring bottom tins! They all lifted out just fine but when I tried to remove the actual base they did stick a bit so I had to serve on the base! I was taking this for pudding at my parents and I didn’t bring anything to serve with it, but my mum offered some creme fraiche which was really good with this. I thought the cornflakes would be all soggy and then the jelly might be too sweet but actually all together it’s great! The base is particularly good! Would I make this again? Yes, surprisingly good! !